We take care of all vital aspects of the supply chain so that our customers - leading retailers and brands - can focus on their customers. Professionalism, experience and integrity have earned CLSC its reputation as one of the leading goods sourcing companies in China. 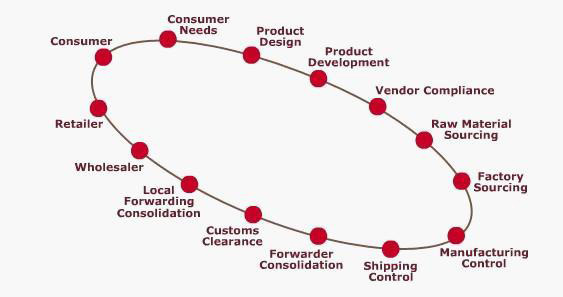 Dedicated teams of product specialists focus on each customer segment to professionally manage the entire supply chain - from product design and development, through raw material and factory sourcing, production planning and management, quality assurance and export documentation, to shipping control. CLSC is committed to meeting the needs of international businesses through competitive pricing, impeccable quality, reliable, on-time delivery, and the highest standards of service. Taking full advantage of modern technology, a dedicated extranet links together all the key components of the supply chain to provide tracking capabilities, a streamlined flow of business information and much more granular control of supply chain activities. Internally, CLSCs sourcing network leverages the capabilities of our intranet to ensure rapid dissemination of information worldwide-taking full advantage of the speed and reach offered by modern information networks. 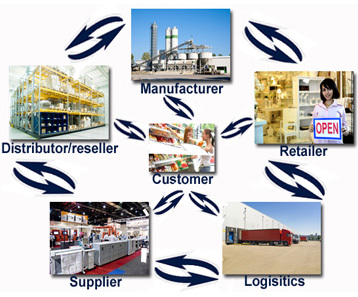 We leverage our intimate market knowledge, experienced sourcing professionals, cutting-edge technology, wide range of native language level business services and state-of-the-art information systems to ensure that all orders are delivered on time, on budget, and according to customers' exact specifications.